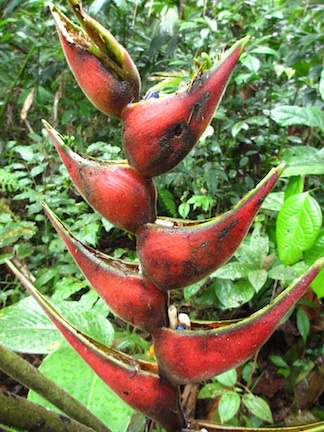 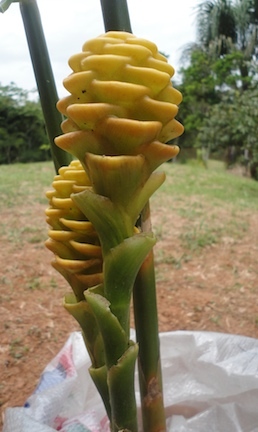 In February 2012, a team of two Americans and three local assistants visited Project Amazonas’ Santa Cruz field site to work on the fruit diversity project and to perform various exploratory and maintenance tasks. 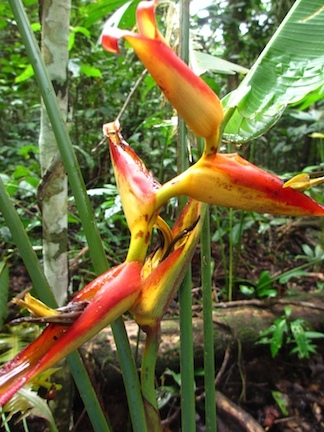 The site is on the Mazan River, forty minutes upriver by powered canoe from the port of Mazan and about two hours from Iquitos, Perú. 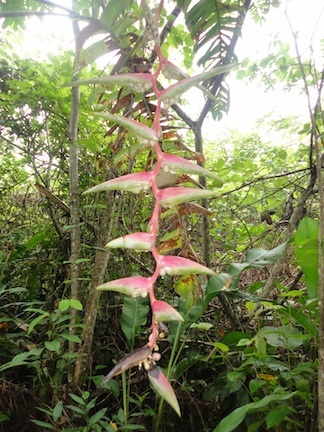 During the trip, Minnesotan volunteer Jake Schultz did a brief survey of Heliconia along two paths that trace old property lines on the site, running from the river to the main station. 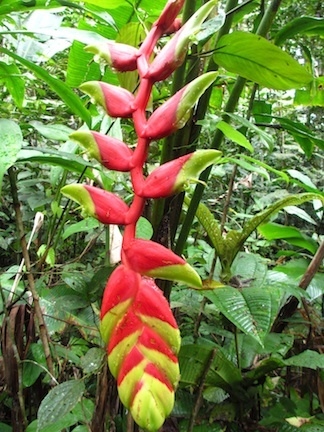 More specimens remain to be found and identified on the many trails. 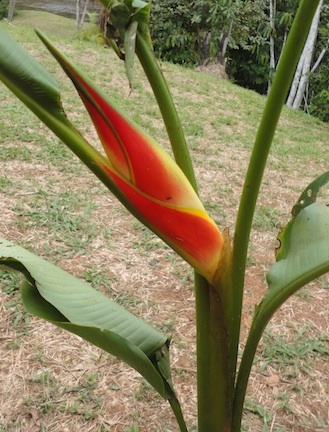 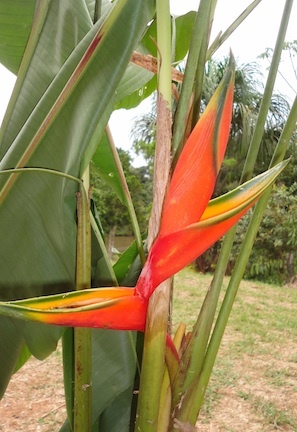 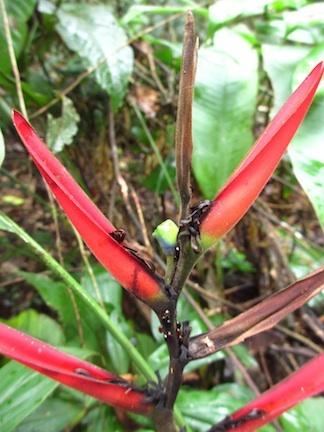 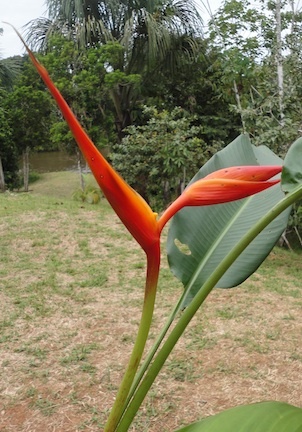 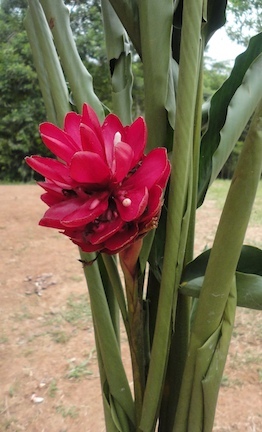 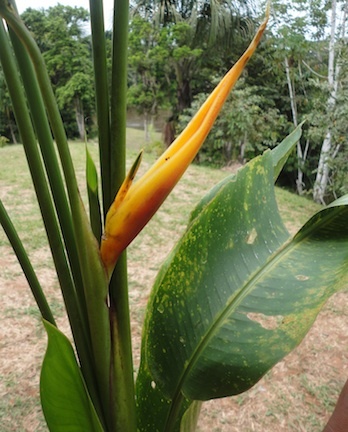 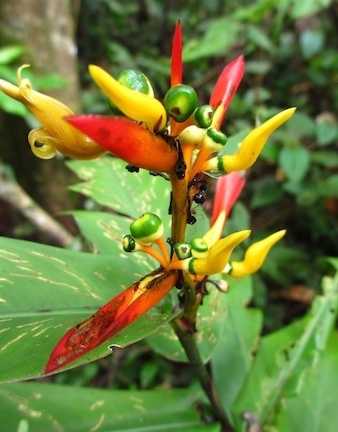 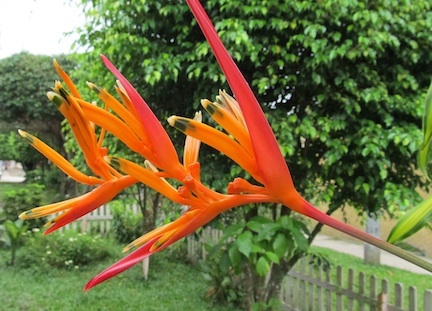 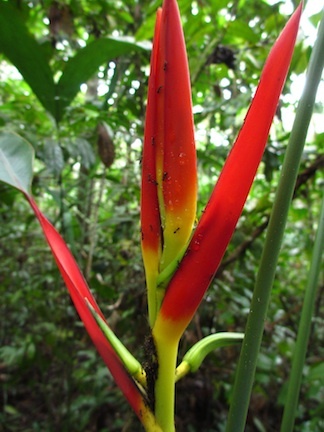 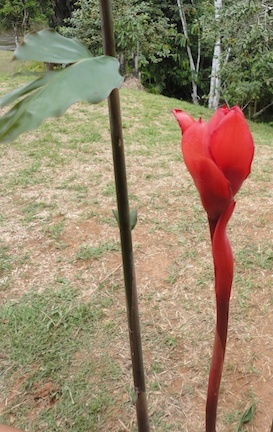 The purpose of this preliminary blog is to document some of the species and varieties of Heliconia of known provenance in the Upper Amazon and to invite more knowledgeable devotees to improve the scholarship by identifying the varieties. 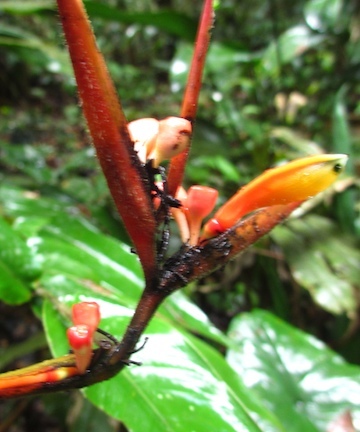 The photos are in two parts: the first group are in situ in both old growth forest and secondary growth forest. 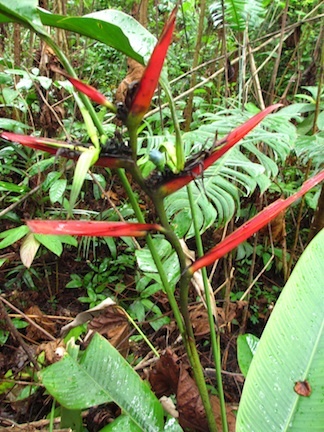 The second group of photos are of plants acquired from a local collector (who provided the names) and were planted on the site around the buildings or on a new nature trail on former agricultural land to keep them separate from the natural forest. 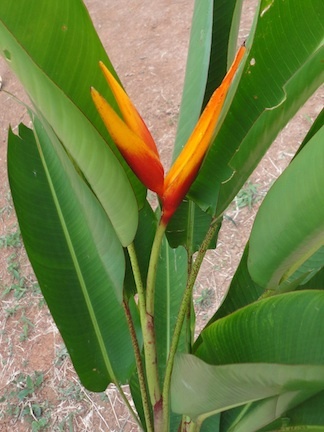 Comments and advice are welcome – please help identify the varieties! 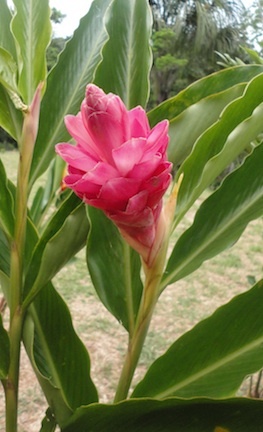 This post will be expanded and updated after comments. 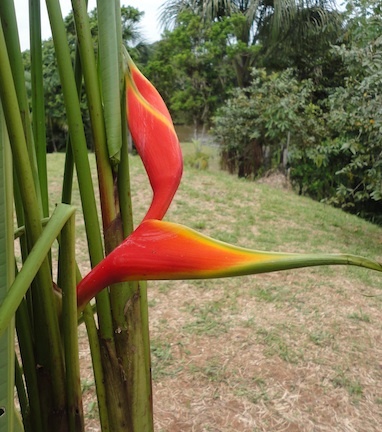 Many thanks to Jake for the photos. 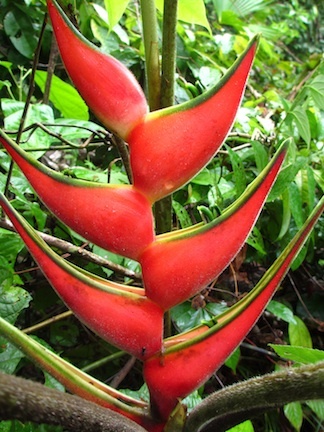 Jake is trained in sustainable farming techniques, and in addition to documenting some of the Heliconia, he shared his culinary and medical skills during the trip. 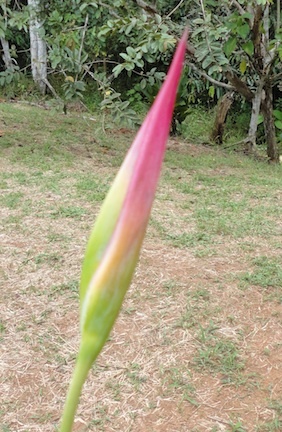 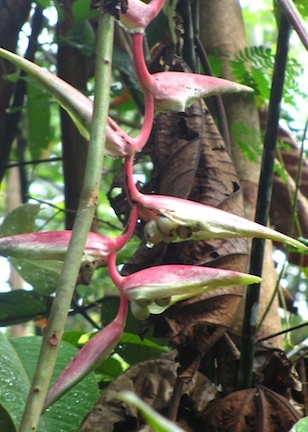 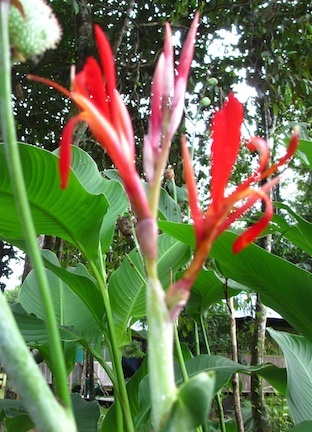 Heliconia psittacorum "Strawberry and Cream"
Most common H. planted in the city proper. 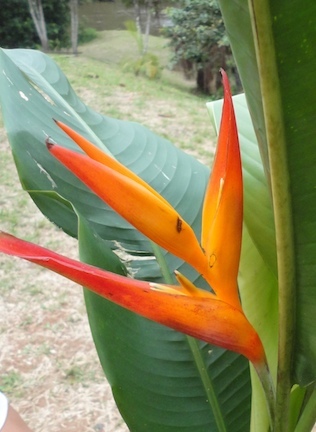 Takes full sun. 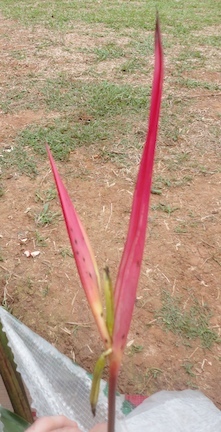 Planted in front of the Taj. 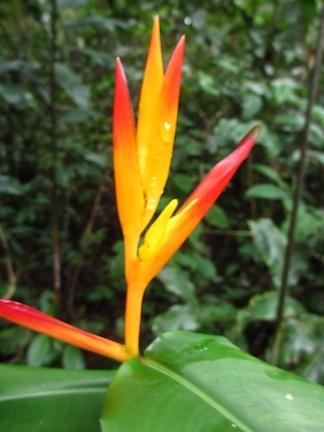 End of post – will be revised after comments.